Oil painting is one of the most popular form of fine art, and is also very difficult to master. It may take years for an artist to become an expert oil painter. Have a look at these tips. There are 3 primaries, 3 secondary and 3 tertiary colors. Mixing of primary colors with one another give secondary colors. And mixing of primary and secondary colors give us 3 tertiary colors. Oil colors are made with linseed oil and pigments which are either synthetic or natural. Hence, you must know the effect of pigments on paintings. 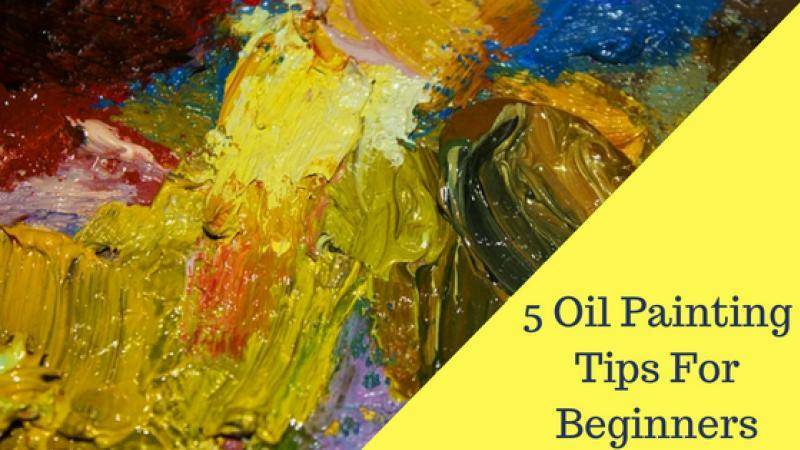 Solvents are used to make oil paints easier to work with. For a successful and good painting to take shape, you need to learn and understand their mutual effect. Oil paint brushes need to be taken care of. Hog brushes are the most popular as they consist of real hair of animals. You need to wash, maintain and care for your brushes regularly to keep them alive. You can use vinegar, hot water, or soap to wash your brushes. Palette Knives are not just for mixing paints. You can use them in paintings for realizing unprecedented strokes and effects which a brush cannot create. Fat Over Lean: They call it fat paint according to the amount of oil present. An oil paint that has more solvent is known as lean paint. Fat paint dries slowly and hence if you want a layer effect, the fat paint needs to go a fully dried lean paint or the painting cracks. Thick Over Thin: Building of color in oil paintings should start with glazes of paint which have more solvent and less oil. As you build layers, the color has a decreasing amount of solvent and increasing amount of oil. An unprepared canvas can kill a painting. Hence you need to prepare it. No White Canvas: A white canvas can kill a perspective of the subject and the paint. Hence, a nonwhite canvas is always desirable. Gesso Cover: Pre-treated canvases come with a film of Gesso cover. The Gesso helps to protect the base from getting spoilt due to paint. You can even cover the canvas on your own by applying Gesso over untreated canvas. Working with a limited color palette is advised because it spoils the overall effect of the color composition in a painting. I hope these oil painting tips and techniques helped you gain some knowledge. Have a tip that you'd like to share with fellow artists? Why not leave it in the comments section below. Do you want to sell you oil painting online, or any other artwork? Go to Showflipper, where you can sell your art online pretty easily. If you want to go through some oil paintings for motivation and reference, go checkout this online oil paint gallery.